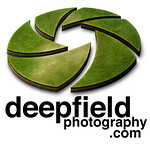 Contact me for pricing on photographing your event & image hosting. My favourite style is candid and aim to capture a feel of an event rather than just a set of posed pictures. with hits of over 80,000 per month your event will be seen! -water marks on the images here are not on purchased images unless specified. -commercial use of images other than press & general website usage may require model release. please contact me to discuss. -On-selling of images is prohibited without a specific agreement. -Copyright is not sold with any images unless expressly stated in written agreement. -Delivery starts from approximately $10 for standard from the US for a large print. actual cost is added in Cart after you have entered address.